Backwardation, Can You Explain It To Me? In the past, the topic of “backwardation” has come up and I’ve tried to write about and simplify understanding it. We now have backwardation deeper and further out than anything we’ve seen in the past so it’s time again to visit this anomaly. What is “backwardation”. This is a situation in the futures markets where a product or contract’s spot (current) price is higher than a future price (ie next month, 6 months or even 1 year in the future). First, backwardation is very possible in many different commodities simply because of the timing of harvests for example in agriculture products. For example, it makes sense a bushel of wheat might be more expensive in the middle of February as opposed to July-Sept. because this is when (in the U.S.) the harvest is done and the product is more plentiful. If the supply is more plentiful, it follows (in the “old normal”) that price should be softer. Also, some sort of natural event can occur such as floods, drought, wildfires etc. which impact harvest or current supply. In this instance, backwardation is perfectly normal and logical. In gold and silver however, backwardation should never happen, not for one second or even one penny. This is because gold and silver are produced around the globe 24/7, it is not a seasonal business in other words. Also, there is “theoretically always” above ground stock (vaulted metal ect.) to meet demand. Gold nor silver should ever be worth more today than it is worth contractually a month from now. This is so because the metal can be lent out and interest earned. If current gold is worth more than future delivery, this would mean a lender of gold would be required to “pay interest” to the borrower. This is the equivalent of having negative interest rates and makes no sense no matter how you look at (unless you are a panicky central banker). As you can see, August gold is .50 cents more expensive than both September and October. It is also more expensive than December. The ONLY EXPLANATION can be one of two possibilities. First, traders may fear a breakdown of the rule of law. They fear they will not receive their contractually guaranteed delivery of metal in the future. Call this “a bird in the hand” syndrome. The other explanation is gold supply may be very tight and simply does not exist for current delivery. Thus, “current” gold is worth more than future gold because it is needed now, right now! Some traders may say “current prices are higher than future prices because market participants believe gold or silver will ‘go down’ so traders are just positioning themselves”. To this I say HOGWASH, traders would either sell the spot or go short, “contango” (higher future prices) must ALWAYS exist in gold because it is “money” and as such can be lent for interest. The above example displays what is happening on the COMEX. 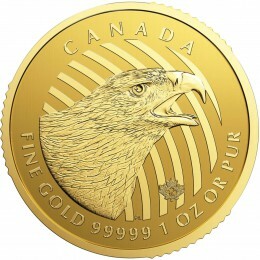 If we look to London, the last I heard, current gold is $7.00 above the next future month. In other words, a trader could “pocket” this $7.00 per ounce “guaranteed”. If this return is guaranteed, in today’s almost 0% interest rate environment, why wouldn’t the “profit” get locked in and taken via arbitrage? Please don’t tell me there is not enough money as traders will slit each others’ throats for single pennies! Arbitrage being … sell the spot price higher than the future price (sell high, buy lower) for PROFIT? Again, the answer I believe can only be because gold is either in short supply or traders are afraid of not receiving future delivery. Arbitrage is not rocket science and has been done since the beginning of markets, in fact, in today’s instant information age any “free money” like these trades should be scooped up before you can blink your eye …but they are not! We have looked at the situation of “waterfall” action in gold and silver many times over the last 2+ years. How is it possible that “price” can go lower if the metal is in short supply? If everyone “sold” and panicked as the charts depict, shouldn’t gold and silver be spilling out of warehouses and vault …and on to the streets? Currently a very severe shortage exists in silver for current delivery (and has for several weeks), how is it possible if silver is scarce …owners of said silver are trampling over each other to sell it? The answer of course is what we have told you all along, the paper COMEX and LBMA markets have zero relationship to supply and demand in the real world. In fact, if you want to “sell” paper gold or silver, all you need are “dollars” to post as “margin”. This farce may be coming to head. 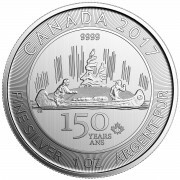 Last month, “buyers” of real silver actually stood up and jumped in line to have July silver delivered to them. This month, there are currently just over 15 tons of registered gold available for delivery yet over 18 tons are standing. Will the 18 tons shrink? Will the 15 tons be added to? In the past this situation has worked out by month end. Sooner or later it will not “work out”. This paper game is becoming ridiculously small in relation to the overall system. The entire amount of gold available for delivery adds up to less than $500 million (lower case “m”) while the system as a whole is dealing in the multi $ Trillions! Something is very wrong. I was told years ago by a “famous” trader I was nuts regarding backwardation. He told me it didn’t exist on COMEX and LBMA didn’t matter. What possible explanation can be given for the current situation on COMEX (which supposedly “does matter”) where backwardation clearly exists from the August contract all the way out to December? I would love to hear theories on how the current backwardation is “normal” and or “it doesn’t matter”??? I assure you it does matter and should not be ignored! When one sees a big detour sign, the smart move is to take it. A bird in the hand is better than, ummm a future promise? I am pondering the question sell some gold and buy silver, or doesnt it matter …? at current ratio Frank, I believe silver will far outperform gold. Silver is THE most undervalued asset on the planet. feel like a friend to you. thank you Frank, might take you up on that! Sounds like it would be smart for Frank (and others?) to sell some gold, take the tax loss that’s likely, then buy silver at much reduced rates from the past. Eh? Bill, the Fed has been bluffing interest rate hikes for years. Very soon the markets have to realize the Fed has ZERO credibility about everything they say. It might have started today when the Dow was down big and came back to even and reversed down in a large way. That hasn’t happened before. The lit fuse could be getting close to the dynamite. The global economy is falling down hard and fast. Somehow in SaudiArabia there will be a happening, like … lets say China. Hi Bill, great info. I can’t explain backwardation, I guess these crazy market (events) never were my kind of thing. I’m about to convert some gold to silly euro leafs, that is… for the good! A man’s godda do what a man’s godda do. Consider it done & thanks, but I used up all my luck. I cheated, it is Canadian leafs, just sitting there, HEAVY. Not Euro. I just point out the obvious.. Yes, backwardation should matter however when cash settlement is available to all sellers who can’t deliver it becomes meaningless if only one market exists. This is why Shanghai is a very important addition to the PM trade as one can arbitrage between the two exchanges. If the price in NY is being manipulated down one simply buys NY and sells the higher Shanghai price providing the delivery cost is covered in the resale value. The only danger in this trade is of course the fact that if you buy NY and don’t get the metal you can’t deliver which would mean that you would have to repurchase Shanghai meaning that the differential would widen confirming the fact that there is a significant shortage in Western markets. The Shanghai price will not be significantly higher than the NY price as this is ALSO a controlled or manipulated market and currently allows China, Russia, India?, Turkey? plus others to add to their stacks at a pace which alarms neither market or awakens too many Western sheep. This will all come unravelled very quickly when we get your “truth bomb” . The fuse to the truth bomb could be Chinese stock market collapse, Yaun de peg from dollar, China SDR decision frustration/ retaliation, Putin losing patience with NATO/ EU stupidity, Snowden revelations, Incident in Middle East, or currently anything from a list of about ten thousand other known possibilities and probably a similar amount of “surprise” unexpected developments! Exter’s Pyramid and Greshams law are all an average person, like me, needs to understand, to ensure some form of future security by always having a plan B. 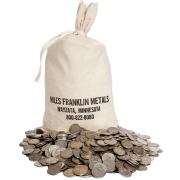 Who cares about arbitrage anyway ….It is better to buy and hold physical metals safely hidden away , in my opinion. or, maybe backwardation exists BECAUSE cash settlement is prevalent? Surely cash settlement eases backwardation. If cash settlement didn’t exist the shorts would be buggered and there would be a rush for physical which doesn’t occur if people are willing to accept cash! Thanks for the very useful and timely information. Just keeps getting scarier and scarier. When to the window a few moments ago and raised it and listened, and as I thought, the fat lady is no longer singing! We have a creek not far from us that has wild hogs, wild turkeys, squirrels, rabbits, and other wildlife. I’m thinking that may have to be my source for Thanksgiving dinner this year. it will get scarier and scarier until lights out. Bill….If there is a sound argument for $50,000 per ounce gold AND if the U.S. has the 8,000 tons or more, does not $50,000/oz gold support the dollar, the bond market and the stock market and also NOT require a dollar devaluation (due to a gold $50,000 oz revaluation)???? So this potential $50,000 gold revaluation prevents a dollar devaluation as long as the U.S. has the gold tonnage mentioned???? please re read what you wrote. 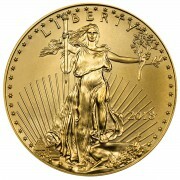 ” NOT require a dollar devaluation (due to a gold $50,000 oz revaluation)??? ?” Is that not a revaluation in itself? By the way, the US no longer has 8,000+ tons of gold. OK however all currencies in the world would be affected in the same relative way. The dollar/Euro exchange rate would stay the same. Dollar/Yen and Euro/Yen would stay the same and goods and services would not change in price relative to one another. So if gold is revalued that doesn’t change the relative exchange rates between these main currencies. All it means is gold went up in dollars, Euros, Yen, etc. wrong, individual currencies will surely be affected both up and down versus each other. Bill….any comments or observations from Friday’s DOW loss of 530 points? do you expect continued margin call/loss selling into Sunday evening into Monday morning? Will the Asian markets sell off Sunday evening or will the PBOC or BOJ be there to make the Shanghai and Nikkei go up? IYO, is this correction a planned event to take profits and scare people out or is this really due to commodities tanking and the global economy weakening in a fast way. BTW, another explosion in China…..at a different port..
this is not a correction, it is the great credit unwinding. As for the Chinese explosion, a coincidence? Space-based kinetic weapons is getting alot of write-up. What else can leave a huge crater? Supposedly, impossible to know and get evidence against who done it and what caused it. Put me in the camp that “we are there”. You mentioned the entire global financial system and markets will be forced to shutdown at any given time….OK fine….because you mentioned when the system comes back up the global financial system needs to be reset and rebooted….OK fine, understand fully. I think for the IMF, BIS, USA, Europe, Japan, England and all other countries, they’re solution ace in the hole is all or nearly all “Debt Repudiation”. We know worldwide debt can NEVER be repaid….as you stated that “the whole world is Greece”….totally agree. IMO, all worldwide debt is so huge and all derivatives too, that hyperinflation cannot be the answer anymore. This global credit unwind is causing deflation as paper wealth is disappearing in all stock markets but the debt remains. So the debt has to be repudiated, worthless, gone and new rules need to be put in place as a result. The Shemittah calls for debt to wiped away every 7 years. This may be the biggest one ever. Remember the old IMF bag lady from France last year doing her verbal number 7 ritual riddle rant? She is disgusting. wrong, ALL currencies are credit based, you don’t believe sovereign treasuries defaulting will affect the values of the issuers currencies? Dream on dude! Bill….is the worldwide selloff after 5 hours plus more than you expected? Down over 50 on the S&P500 Asiam markets have lost more than $1 Trillion. I have no expectations other than the system at some point closing for a spell. I do know how we get there but do know that markets will not go in a straight line. Expect the unexpected. IMO, China is doing their best to crash the markets…they decided that is the best way to take down the U.S. & the West. Because if the U.S. & the West doesn’t have the money, they can’t properly fund their worldwide military and other ops. I highly doubt they set out 2 months ago to crash their own markets. China has everything new,,, new infrastructure, new PPE, new cities, etc….they will surely sacrifice their markets to bring down the western markets to its knees where China will have to be a member of the IMF. It is Financial War. If the U.S. can’t fund its military, China wins. China has the trillions to sell off the S&P 500 into ashes and dust. spoke too soon….PPT gonna bring the stock mkt positive by 4:00pm EST. Don’t mess with Janet ‘jellin’ Yellen, she’s from Brooklyn you know. She can take on Ronda Rousey.